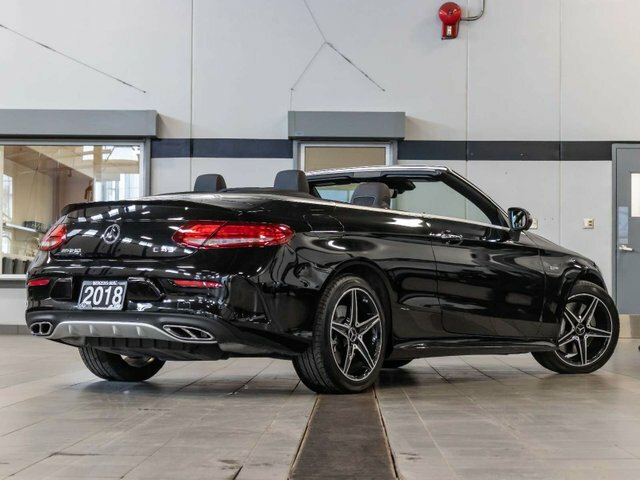 2018 C43 AMG 4MATIC Convertible with all-wheel drive and only 10,965kms. This was a Mercedes-Benz Canada Demonstrator vehicle. Still looks, drives, and smells brand new. Great opportunity to save on cost over new. 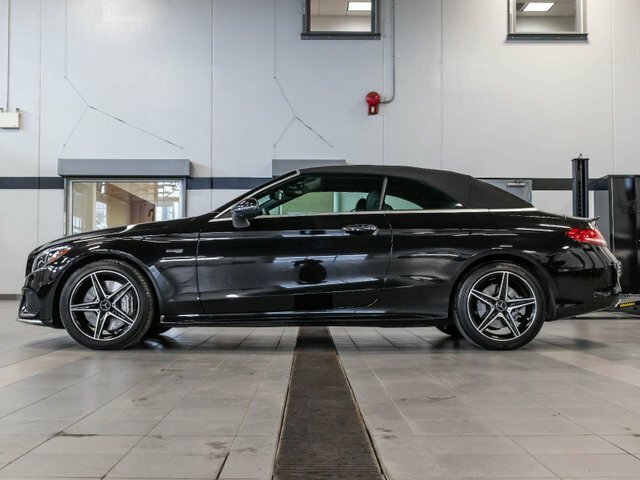 Comes in an Obsidian Black Metallic exterior with Black leather upholstery and Aluminum trim. Powering this C43 is a 3.0L Bi-Turbo V6 which produces 362hp and 384lb-ft of torque paired with a 9G-TRONIC automatic transmission. This vehicle has never been smoked in, and has never been involved in any collisions with a clean CarProof vehicle history report. A Star Certified Inspection was carried out, and during the process we completed an "A" Service and noted that tire tread and brakes are like new with plenty of wear remaining. 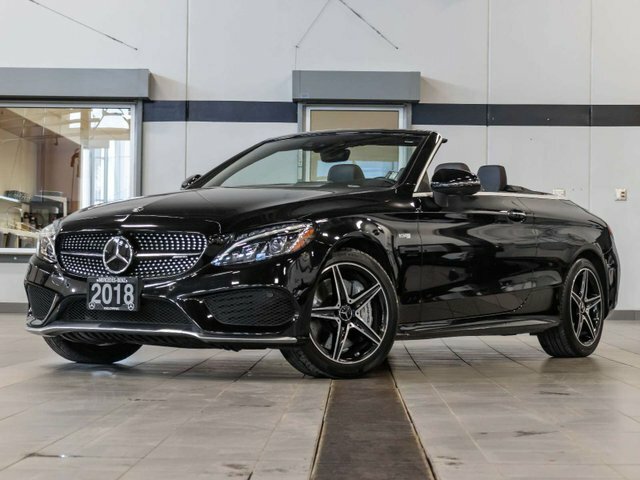 Factory ordered options and packages include: Premium Package ($5,000) - COMAND Online Navigation, 360 Degree Camera, Active Parking Assist, Sirius Satellite Radio, Burmester Surround Sound System, Keyless-Go and Integrated Garage Door Opener. Active LED High Performance Lighting System with Adaptive Highbeam Assist ($900). Intelligent Drive Package ($2,700) - Active Distance Assist DISTRONIC, Active Blind Spot Assist, Active Lane Keeping Assist, Active Steering Assist and Active Brake Assist with Cross-Traffic Function. Obsidian Black Metallic ($890). Comes with (2) sets of keys and all original owner's manuals. 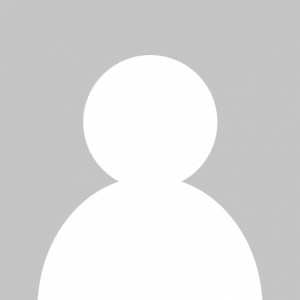 Still eligible for lease and new car programs. Contact the dealership for your personal video walk-around or any additional information.